Gettin through "One of those days..." | Primary Planet! Gettin through "One of those days..."
At least next week will be all Christmas activities. Our wonderful PTO throws the teachers and staff a holiday luncheon, so that is coming up and promises to be extra special this year! Plus our class Christmas Party that my wonderful Room Mom is planning. So, it won't be too bad. But, I got off topic. Amanda Madden over at Teaching Maddeness is doing a fun "Budding Blogger" featuring well, "Budding Bloggers" on Wednesdays. My humble piece of Cyberspace will be featured on Wednesday Jan. 2nd, 2013. (Thanks so much Amanda!). One of the questions that she asked was "How do you get through "One of those days"? 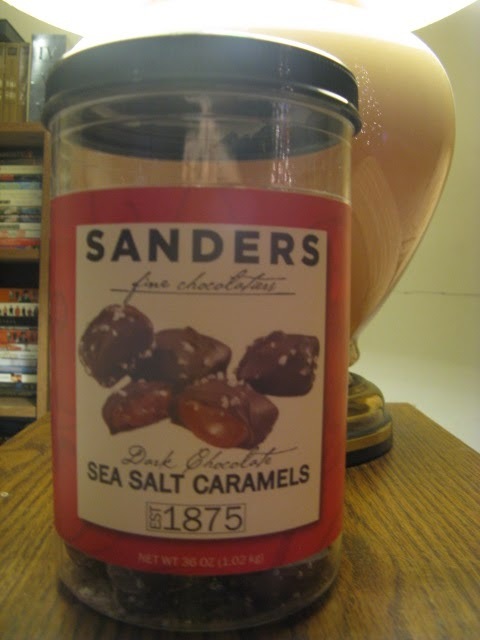 Of course, chocolate is a magical substance, but I have recently found something slightly better than just chocolate. Let me start with, I am in no way affiliated with this product or the store that I bought it from (Costco), but these may be the best thing on Earth! Is there anything better than dark chocolate, caramel and a little salt? They are really a small bite of heaven. What helps you get through "One of those days"? No, it still isn't Christmas break yet! I am saying the same thing to my kiddos! Luckily, I only have 2 more days! Hang in there!